Even terminology around death is skewed. Life insurance or will writing companies usually use terms like ‘should the worst happen…’ rather than plainly saying ‘when you die’. We like this to be made as easy for us as possible. But believe me, if you die without having life insurance or a will in place, things will be far from easy for your loved ones left behind. I hear people say ‘I won’t care when I’m dead’, that may be the case but it’s your family and friends who will! Bernie Nolan, who sadly died last year, meticulously planned her funeral down to which people were in which car, every song played, the venue, food etc. Her sister, Colleen, said that it made it so much easier for the mourners as they could focus on supporting each other in their grief rather than worrying (and perhaps arguing) about what kind of funeral would be best. Bernie took that pressure off. The fact is, you may have lots of children, jobs, houses or spouses(!) in your lifetime but you will only die once. Why wouldn’t this significant event be discussed in as much depth as a mortgage or planning a family? It’s Dying Matters Awareness Week this week and the aim is to get people really thinking about their death. We all prefer to talk about the happy stuff. It makes life great! I like to share news about my family and things we’ve been up to – a recent birth, a wedding, a baptism, a school play… no one minds that, but to speak of death is another thing. 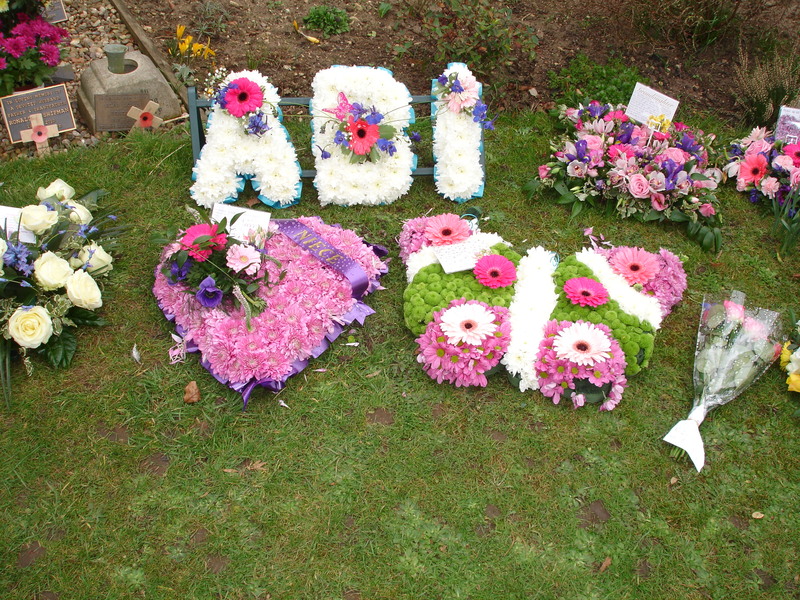 Yes, writing about Abi’s death and my grief is hard for me. It brings painful emotions near the surface. Sharing that pain is another dimension. Why would I share my most personal thoughts about my grief? About the stress and distress to my family caused by our loss? It’s too hard for others to read at times, especially other parents. It upsets people to know my sorrow. Death is sad, hard and ugly. But death is the most certain thing in life. Many of us choose to put it away as something that will happen when we’re 100 and too senile to care, but my life has already proven that this is just a pipe dream. It’s true that in order to take joy in life we need to focus on the miracle of new life. I’ve read hundreds of articles about pregnancy and babies, there are a million blogs on parenting – we love writing about the ups and downs of family life. I frequently share pictures and snippets of my 11-week-old baby and two other children. These are my ‘easy shares’. But I know too well that to write about the death of my child is a double discomfort: first the subject of death itself and then that of a child… unthinkable. I think hard before sharing what I do. But this is the very reason why I do share my pain. I want to support other parents like me who are mourning their child or children no matter how old they were when they died. I’ve heard from women who lost babies in pregnancy and mothers who are mourning their adult child… there is no age limit to grief when you become a bereaved parent. I want to show a real side of life in this ‘virtual world’ many of us are living in. Sometimes people’s ‘virtual’ lives seem too perfect; after all we like to share the good stuff, the beauty of life and laughter… and why not? But there is a space for the tough stuff too, in fact it’s essential. After Abi died, I was awake at all hours searching the web for parents in a similar situation, there is a random spread of bereavement advice and support out there, but in the lonely hours I wanted to read of others’ experiences. I started this blog as a result of that time, to help others who’ve found themselves lost in grief. I want my blog to be seen and shared but I’m not out for blogging recognition or reward; if my words can help comfort just one other mother in my situation then I know it’s worthwhile. So, when did you last talk about death? If you’ve not had ‘the talk’ yet, why not try today? It’s far better to talk about death when you’re feeling in a happy, safe stage in your life than when you’re faced with unimaginable loss and mental stress. And, while you’re at it, you might as well talk about organ donation too, and if you wish, sign up to the Organ Donation register. We had discussed organ donation with Abi just weeks before she died and had a good idea of her wishes. We keep in mind that Abi’s organs helped save the lives of four other people – something we will always remember with pride. This entry was posted in Uncategorized and tagged bereavement, Death, dying matters, grief, life insurance, Organ donation, will writing by Chasing Dragonflies. Bookmark the permalink.